When it comes to the many challenges presented by a ceiling leak, pipe burst, water heater failure or any other type of flooding event, the residents of the Kannapolis area rely on Tim Crane and his water damage Kannapolis specialists with 911 Restoration Charlotte. Taking on the nature of water damage means being fastidious and capable of responding within 45 minutes so that the damages of such situations are mitigated and lessened by quick action from Tim and his water damage Kannapolis specialists. “Beyond being fast to the scene, we are also available 24/7/365 for any kind of restoration related issue that may pop up, no matter when it occurs,” Tim says. 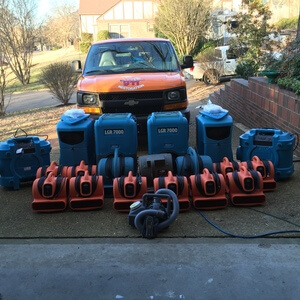 When Tim and his water damage Kannapolis teams take on a project they do so by bringing not only their years of talent and expertise, but also the latest and greatest drying equipment too. “The tools that we use are time tested and industry approved and we can save any size building with what we have ready and mobilized,” Tim explains. If your home is flooded through with water from a ruptured hose, pipe problem or general flooding of any kind, then don’t hesitate to contact Tim and his water damage Kannapolis experts with 911 Restoration Charlotte today! 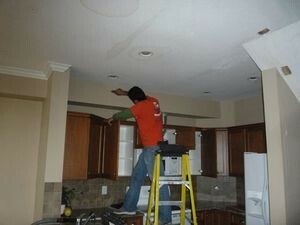 Tim and his water damage Kannapolis teams are experts at providing solutions to all the challenges that spring up in the restoration industry and through his vast experiences and knowledge he aims to give back to the community through advice, tips, and tricks to prevent damage from occurring. “People absolutely need to make sure that they have their entire plumbing system inspected at least once every two to five years to find any corrosion or other tiny issues before they grow to become more expensive problems later,” Tim explains. Tim also suggests that people do a visual inspection themselves every so often so that they can catch any rusting or water deposits that may indicate a leak in the piping. “Anytime you see mold near a pipe, it is usually a direct indication that there is a looming or existing water damage problem afoot,” Tim says. No matter what the issue is, Tim and his teams of water damage Kannapolis specialists can handle it with ease and at an exceptional value too. If your home is amid a flooding event, or if you just want to find out if the rust on your pipes is a problem, then contact Tim and his water damage Kannapolis staff with 911 Restoration Charlotte today! Tim and his teams of water damage Kannapolis technicians have seen every imaginable kind of water damage situation that can arise in this industry and during that time they have encountered some fascinating challenges and accomplished them all. This lack of knowledge allowed a huge amount of water to pour into the hallway from the bathroom, and then into the living room from the hallway where it swamped carpets everywhere. Tim and his teams of water damage Kannapolis specialists always put the customer and their needs as priority one in every situation that they encounter, and education is a large part of that process. The water damage Kannapolis teams will even file the insurance paperwork for homeowners in need to ensure that everything is properly notated and documented to the fullest extent. 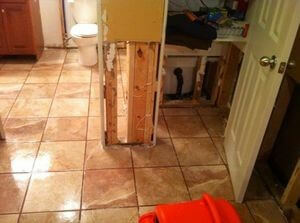 Don’t let a toilet overflow or any other water damage scenario take over your home unexpectedly. Contact Tim and the water damage Kannapolis technicians with 911 Restoration Charlotte today and get all the help you and your home needs immediately!